On the fourth day of Christmas The Pink Whisk sent to me………ideas for decorating your Christmas Cake! I feel like we’ve been working on our Christmas cakes for such a long time lovingly stirring boozy fruit, baking our precious cakes and feeding them with brandy it’s really exciting to be at the final stage – decorating! Prepare your cake board and position your cake on it so that the cut side is downwards. Check that you’re happy with your levelling and adjust if necessary. Dust your worksurface with icing sugar and roll out the sausage into a long strip to reach around the outside of the cake. Measure with string to help you know how long it needs to be. Again with the string measure how tall your collar of marzipan needs to be and cut to the right height. It should be 5mm above the top of the cake. Work with 1kg of sugarpaste for an 8″ cake. The thicker the sugarpaste the easier it is to work with and the less it will crack and split on you. I’m not generally a fan of Supermarkets own brand sugarpaste as in the past I have found it too sticky. But in the interests of The Pink Whiskers I have been trying them out – you’ll be fine with Dr Oetker, Sainsburys own brand and Asda’s own brand and Regalice. (In fact I think the Asda one came out top in by book). Dust the worksurface liberally with icing sugar. Knead the sugarpaste to warm it up making it much more pliable. Measure across the cake with a piece of string from the board, over the top and back onto the board again and cut the string to the right size. Dampen the marzipan with a pastry brush dipped in a little bit of water. Begin to roll out the sugarpaste making sure you have plenty plenty of icing sugar on the worksurface, once it sticks it’s gameover and you have to start again. Starting on the top, ignore the sides for now, polish the top of the cake with the flat of your hand again. When you are happy with the top start working the way down the cake with your hands, smoothing the sugarpaste into position. Go slowly and work from the top of the cake down towards the board. If the sugarpaste starts to crease lift it away from the cake and smooth from the top down again. If the sugarpaste begins to crack you can ‘polish’ out the start of any cracks with the palm of your hand. So here’s a couple of ideas for decorating your cake. The choice is yours, simply secure it at the back with a pin. For the holly leaf cake, colour some sugarpaste green and little bit red, or use ready coloured. Cut out 12 holly leaves. Mark on the leaf veins with a back of a knife and drape over a rolling pin to curl. Leave them to dry out overnight. Score a faint circle onto the top of your cake using a circular cutter to use as a guide. Secure the holly leaves in two’s using the circle as a guide to position them. Take a small blob of sugarpaste and mash in a bowl with a few drops of water to make a glue. Use to secure the holly leaves in place. Make some holly berries using the red sugarpaste and glue in place. I have also added some little silver balls, a dab of water will hold these in place. Cut out one large star and five small stars from white sugarpaste. Cut out one large snowflake and five small ones in white too. Lastly cut out some little white stars. Position onto your cake using a little dab of water to glue together, again I have added some silver balls – just because I can’t leave them alone! For the last cake idea I have made a little polar bear from sugarpaste. Instead of covering the cake in white sugarpaste I have coloured some an ice blue colour. Add an iceberg circle of white sugarpaste to the top for the polar bear to sit on. Here’s how to make a polar bear. Form the shapes shown in the picture – a tapered ball like an egg shape for the body, a ball for the head which I have shaped to form a slight muzzle, two sausages for legs, two back legs like chicken drumsticks and two ears – circles pinched together to form a teardrop shape. Indent the eyes using the end of a paintbrush and indent the ears too. First stick the back legs in place using a dab of water. Insert a piece of dry spaghetti through the body. It will help secure the head. Add the head. Add the front legs and mark in some polar bear claws. Poke two small paintbrush end holes in the head to stick the ears into. Cut out a thin strip of coloured sugarpaste, fray the ends and stick into place as a scarf. Add in small balls of black sugarpaste for the eyes and nose. Mark on his mouth using a drinking straw cut in half. Add a couple of pieces of holly to his head and a couple of red berries too. The entire cake has been brushed over with snowflake lustre dust so it is all sparkly and then I’ve added some little white stars too. Whatever you choose to do with your cake have fun! Don’t forget it’ll be delicious come Christmas Day! This entry was posted in Cake, Christmas, Twelve Days of Christmas. Bookmark the permalink. 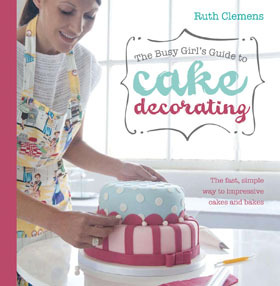 66 Responses to On the fourth day of Christmas The Pink Whisk sent to me………ideas for decorating your Christmas Cake! 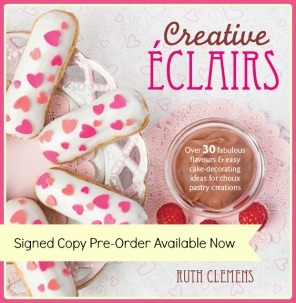 Ruth, your generosity in sharing these great ideas, with such helpful detail, is wonderful! I looked very early this morning not thinking there would be today's post yet, and there it was! What a lovely way to start the day – and I will ask the children to decide which version of the cake they would like to help me ice! Thanks again, great series of posts for Christmas. Every year I make a Christmas cake and always struggle with the icing and marzipanning … although I think they look good in the end! It has never occurred to me to use a pizza cutter, or the tin as a template! I feel like the heavens have opened and a ray of light is shining down on me!! Am off to brave the ice and get my stuff to finish off my cake! Oh well, maybe they will be a bit more forgiving as I'm only 13. Hiya… Just a silly question… Why did you covered the cake with marzipan and then the sugar paste ? Is it just for taste ? Can I just cover the cake with only sugar paste ? wow! this is incredible, nice work. You make everything so simple. Arline – the icing is coloured by working a little of the coloured gel – see link above – into the sugarpaste and then rolled out and used to cover the cake. The marzipan and sugarpaste combination is traditional for a fruit cake. As fruit cakes are generally lumpy by nature the first layer of marzipan helps to smooth out the cake before adding the sugarpaste. If you don't like marzipan you can add two layers of sugarpaste or indeed just one but the finish won't be as smooth. I love the polar bear Ruth and might just give that a go but tell me, what did you use to give your holly leaves that lovely shine? Beautifully decorated cakes Ruth! You are a wonder to us all! Thank you for your knowledge and tips on decorating Christmas Cakes! I have a Christmas Cake order that I need to start decorating this wkend and I feel inspired and motivated by you now! We are so behind – still to bake and decorate ours! Probably won't go so elaborate this time (no spare week! ;)) but I have been dying to try out making Chrysanthemums, so maybe some of those… but the snowflakes look gorgeous, too! So hard to choose between all the ideas… thanks for all the tips! These are soooo beautiful, too nice to eat! 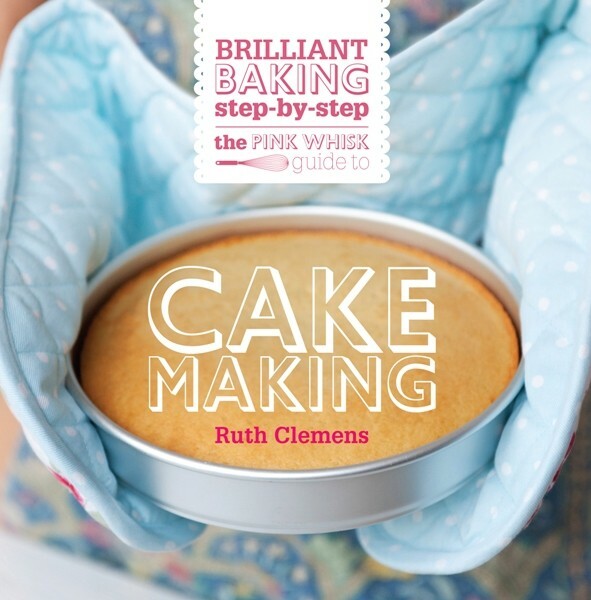 Wonderful step-by-step instructions and, of course, beautiful and inspirational cakes. Thank you for sharing. Thanks for the instructions Ruth – I'm doing my first Christmas cake this year. Two questions: what do you think of the quick royal icing finish and also, when baking cakes I've seen recipes using cup measures – do I need to worry about whether they are US or UK? 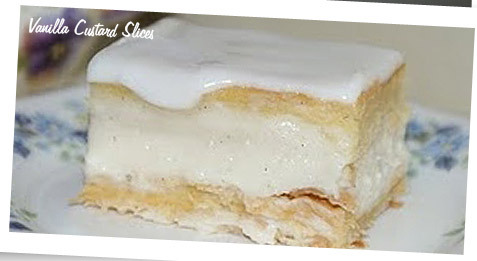 Just a little tip for you – if you are trying to smooth your icing on the cake and not getting a result you are happy with take a lump of left over icing, (in the same colour) and "polish" the icing on the cake, this should smooth it down and give it a bit of a shine! can i still make the cake? I love them all – how am I ever going to choose! I might have to try a combo, although this will probably fail and it will look like I have tried to cram too much in. Might just go with snowflakes and holly? Your instructions and brilliant photos makes me, and I'm sure most people, feel that they can do it too. Brilliant, thank you so much Ruth. Ruth, you make it look so easy! I will definitely be trying it next year (found your blog a little late this year!) Really enjoy reading your posts and the recipes I have tried of yours have all come out superb and very tasty – brilliant instructions and really good read! Store your cake in a tin or a box, once its covered it keeps the moisture in the cake. The reason for doing the marzipan in a collar and then a top is that it gives a sharper edge at the top, you can do it in one sheet but you will have a much rounder edge when the sugarpaste covering goes on. Glo – the shine comes from steaming the sugarpaste after decoration – I wouldn't advise it if you haven't done it before – its a sure fire way to wreck a cake. I use a handheld steamer. Alternatively you could use a specialist sugarcraft confectioners varnish or brush with a little water – although this can make it sticky so you need to cover it afterwards to stop it catching any fluff! Hi Ruth, Love your designs and this is the first year I've made a Christmas cake. I'm making my Granny's secret recipe and she always iced it in royal icing. Do you have any decoration ideas using royal icing? I'm a novice at royal icing…! These are some of the most comprehensive instructions I've ever seen. I make my Christmas cake every year and have made various quite complicated children's cakes plus I've completed an icing course…..but I learned so much from this post. This year's Christmas cake will be my most beautiful yet I'm sure. Thank you so much, I've been looking for ideas of how to decorate my cake. Yours look fab! I need to make one of these cakes by Saturday morning, today is Tuesday morning…is this possible? I don't expect it to be a boozy cake, can i just mix the unsoaked fruit straight into the cake mixture to bake and still have decent results? Or is the soaking neccessary for the moistness? Equally i wouldn't be able to feed the cake. So the plan would be to bake the cake tonight/Wednesday, marzipan it the next night, then ice it the next night. Would this work? Ruth's recipe is my first Christmas cake (with some help from my mother!) I've followed the recipe to a tee, the only change is I made almond paste instead of marzipan. I'll be icing it this weekend and decorating. Can't wait to cut the first slice!! I've been baking for years and everyone tells me I should start my own business – you really are an inspiration to all us budding bakers out there. I'm really happy to have found your website and I think that your photos for demonstrating icing cakes are the best I've come across. Simple and step-by-step. Great ideas for decorating my cake differently this year – thats my pre-christmas job sorted for tomorrow! Quick question re leftover ready to roll icing. How long do you think it will keep? I've wrapped it in the foil wrapper it came in and then in clingfilm. Would it need to go in the fridge? I'd like to use it for making some cupcake decorations after Christmas. Thanks again for the great instructions and lovely recipes. 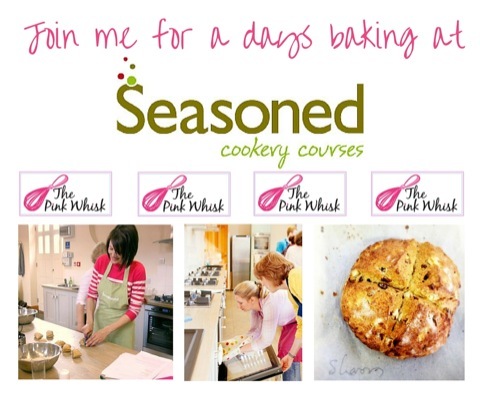 Have a wonderful Christmas and looking forward to lots more Pink Whisk recipes in the new year. Ruth thankyou so much, your expert guidance has been invaluable! I've just done my marzipan (yes it's a bit late!) and your method worked perfectly. Great tip about using a pizza wheel by the way. Love your site it's brillant. Left over ready to roll icing will keep in the cupboard, well wrapped in clingfilm so the air can't get to it for a good couple of months. wow, wow, wow. your holly and snowflake cakes look so beautifully elegant. thank you for taking the time to write clear directions. some very good advice thanks! Last year I made your lovely Christmas cake recipe. This year I’ve got my boozy fruit going but I can’t find your cake recipe, is it still here? I always loved baking and decor. But never had a chance to do them when growing up due to limitations economically. Thanks for these wonderful ideas. I can only bless you for the being selfless. I guess what I have learned will help put food on the table of the hungry. 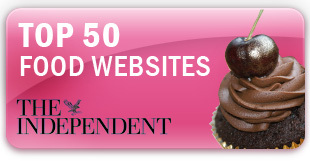 Hi Ruth, love your site, so helpful! I’ve already started on Chritmas cakes this year as I’ve been asked to make some for other people. I just wondered when is the earliest you would marzipan/sugar paste them? Could I start this month, once they’ve had a few feeds of brandy? Hi Ruth, I love the polar bear cake, can I ask what colour you used to get the fantastic blue? I’m loving the decorating ideas. Have you got ideas for decorating with royal icing? What did I do before you came on the scene Ruth? I have a few cakes to decorate, and love the polar bear, I might just give him a try.